One occupational risk factor for back and neck pain is working on an awkward and mentally demanding manual task while sitting. Dentists are confronted with this challenge daily, and unfortunately often suffer as a result. Such a challenge is not new to mankind though and has been around long before root canal procedures and ipads. 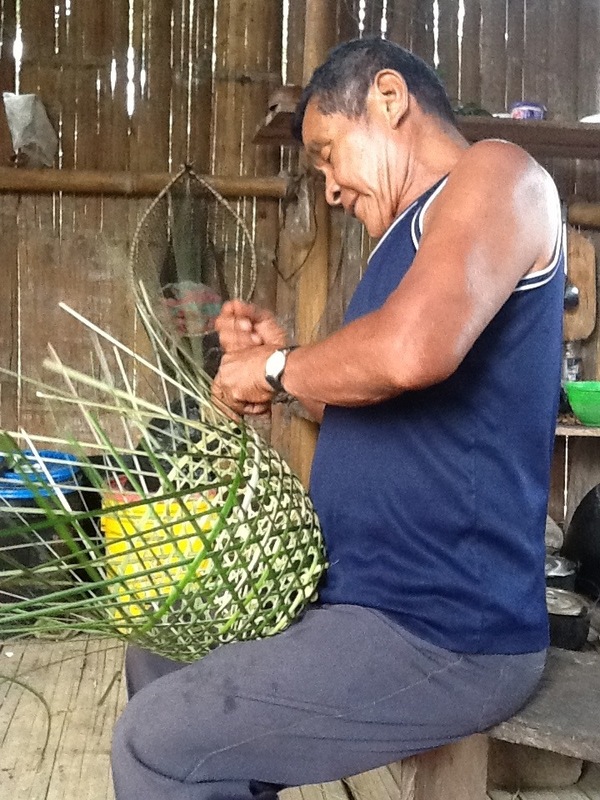 Basket weaving is one of many ancient task that fits this category. The fundamental challenge with all of these tasks is as follows: the object must be close to the eyes so precise details can be completed, but as nature would have it, the hands are not attached close the eyes and neither is the lap on which the object is often supported. The result is the bringing of the bead down to the level of the hands and lap resulting in flexion of the spine with a forward head posture. Prolonged exposure to these postures results in a fixed posture in flexion which then limits the ability to straighten up and increases risk for compression fractures of the vertebrae later in life. Furthermore, many people myself included, find this flexed posture creates neck and back pain. My preferred ergonomic setup for such a task is a high workbench where one can alternatley stand and sit on a stool and where the weight of the object is supported by the bench. Adequate lighting is also very helpful to prevent excessive hnching over to get closer to see what is being done. But so far in the Amazon of Ecuador I have not observed such a setup. Instead most people adopt a flexed posture when working. I did however find one partial exception which I found interesting and will share with you all.